“I see myself as a very versatile performer and I hope to one day produce and direct for television and the big screen. Khanyisa’s brand of good, clean comedy sets her apart in the current world of stand-up and entertainment. My dream of being the most sought after female performer and comedian in Africa, was only just beginning of my journey” adds Khanyisa. As a child, Khanyisa was always the centre of attention, regaling her family with stores of her mischievous behaviour at boarding school. She’s now caught the attention of the local entertainment scene. In 2008, Khanyisa relocated to Johannesburg shortly after, she decided to take a leap of faith and follow her talent. She saw herself entering SABC 1’s reality TV show, So You Think You Are Funny?. Being part of the Top Six finals solidified her path, beginning to pursue a full-time career as a comedian, entertainer and actress. Having performed on some of South Africa’s most prestigious and well-known stages. Her performances have been revered by critics and show-goers alike. Hosting a number of major headline events too including Kings & Queens of Comedy, Blacks Only and the Comedy Central Roast Battle in 2016. 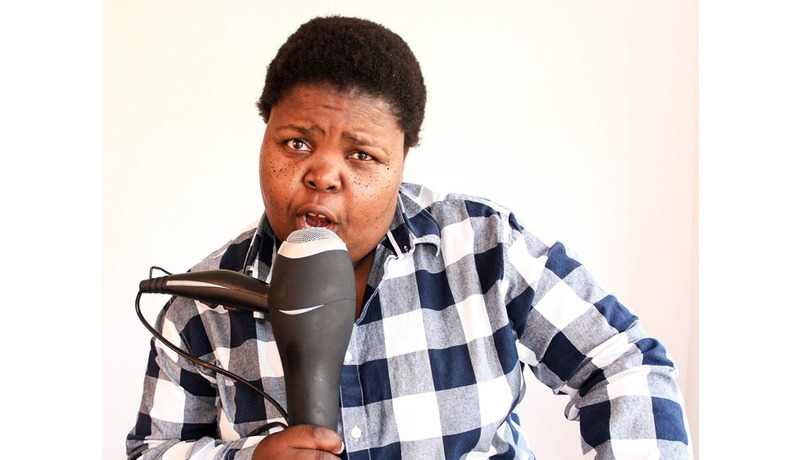 Khanyisa Bunu, is a Stand-up comedienne and actress. She’ll be opening for Trevor Noah’s upcoming tour in Johannesburg and Durban. What a way to celebrate ‘girl power’ this Women’s Month. Hailing from the small town of Whittlesea in the Eastern Cape, where she was a high school Geography and English teacher, Khanyisa Bunu has always known she was funny. “There wasn’t a day that went by that I didn’t get a kick out of making my students or the teachers roar with laughter,” recalls Khanyisa. Khanyisa has performed on the international circuit too with outstanding performances in Botswana, Nigeria, Swaziland and most notably at the Greenwich Village Comedy Club in the capital of comedy, New York City. She has guest appeared on South African television screens as well and taken part in various televised comedy shows. Her most well-known performances have been on Season 4 of Ses Top La Season 4 on SABC 1 and her most current appearances on eTV’s Scandal. She is also an accomplished writer and has written as a columnist for several community newspapers over the years. Her first Xhosa novel, Umbhodamo was published by Maskew Miller in 2013, to critical acclaim and is currently a setbook in the Eastern Cape for Grade 8 and 9.